We humans have been gazing at our reflections for eternity. Fascinated by our own visage we have sought to preserve it in sculpture, painting, photography, video. Our portraits are as individual as our fingerprints, and there are many ways to “paint” the story of a person’s life. From a handprint to a text description of hair and face, from an eye portrait to a rack of uniforms, from a Google search window to a vanishing reflection in a puddle of water, Striking Resemblance: The Changing Art of Portraiture at the Zimmerli Art Museum at Rutgers through July 13, spans two centuries of portraits by 80 artists from around the world. 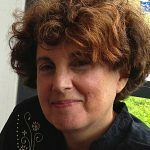 In the age of the selfie, Zimmerli Curator Donna Gustafson and Rutgers Professor of Art History Susan Sidlauskas sought to provoke new thinking on a staid genre. Portraits on Facebook and other social media sites exist as documentary evidence of experiences lived and as records of moments in time, the curators point out. “In the wake of these technologies and new roles for the image of the self, the painted portraits common to the 18th and 19th centuries have lost ground to photography, the dominant image-making tool in our celebrity-driven, surveillance-focused culture,” the curators write. To present a new way of looking at how people view themselves, their significant others and tribes, the exhibition is grouped into single, double and group portraits. Contemporary works borrowed from other institutions help to highlight works from the Zimmerli’s rich holdings of American, European, Russian, and Soviet art. Enter the single portrait section of the exhibition and you are surrounded by walls hung with oil paintings. These represent the traditional portrait as a means by which individuals are honored and remembered by friends and families. But who says a portrait has to include the face, or even the figure? 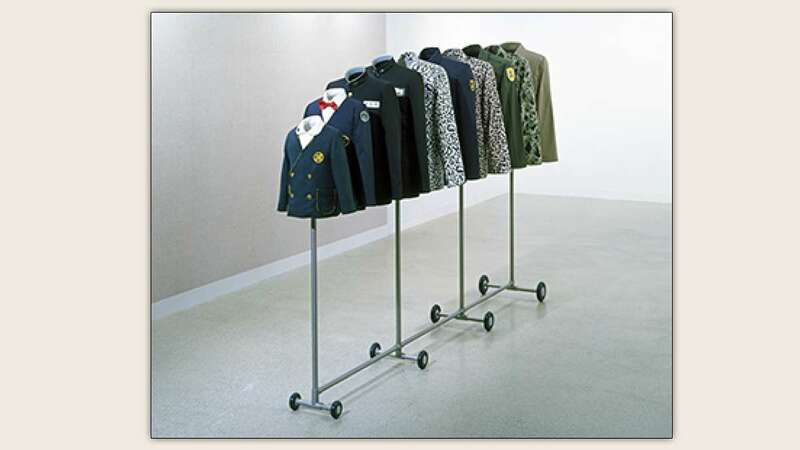 At center is a clothing rack outfitted with boys’ school uniforms, gradually growing into larger sizes and military uniforms. “Uni-Form/s: Self Portrait/s: All My 39 Years” (2006, fiberglass resin, stainless steel, casters) is a contemporary portrait by Do Ho Suh, the sculptor and installation artist who divides his time between Seoul and New York. Contemporary artist Tabitha Vevers updates the eye portrait miniatures with her own series of “Lover’s Eyes” (2002-2012), incorporating eyes from paintings by Bronzino, Manet and Rosetti. Painted in oil on ivorine, it is as if the people painted by these masters so long along are still looking out at us today, a past tradition peering at how life is lived in our times. The self-portrait goes back to the 16th century and Raphael, points out Gustafson. In contemporary times artists Alex Katz, Alice Neel and Chuck Close made self-portraits that are recognizable as the artists. By 1968, Robert Rauschenberg re-invented the self-portrait in his “Autobiography” lithograph in which he uses an X-ray and other images that have little to do with his physical appearance. Felix Gonzalez-Torres, whose black-and-white photo of an unmade bed was recently featured on billboards throughout the region by Princeton University Art Museum, continues to mourn the passing of his lover in Striking Resemblance with “Untitled (Double Portrait),” a stack of offset prints of two circles, just touching, that visitors are invited to take. By giving away his art in this manner, Gonzalez-Torres questions concepts of ownership and value while evoking the transience of art and life. Rineke Dijkstra – her work was recently seen in Princeton University Art Museum’s Shared Vision exhibition – likes to photograph adolescent girls, barely clad, struggling to find comfort in their own skin. Here we see a girl in that awkward stage between childhood and teenager, wearing a camisole and short shorts, looking lost in a forest. Are Dijkstra’s subjects exposed, or exposing themselves? In the doubles section, Diane Arbus’ 1967 photograph of identical twins in Roselle, N.J., wearing black dresses with white collars and cuffs, white headbands holding back all but the bangs of their flip hairdos, is a classic. In 1979, Donald Lokuta photographed the same pair, now young women wearing plaid skirts and jackets and makeup over their pimpled faces. Yet another double is Fred Wilson’s “X from the Exit Art portfolio Trantra,” in which Malcolm X is juxtaposed with John Singer Sargeant’s Madame X. In the groups section, Red Grooms’ “Cedar Bar,” on loan from Princeton University Art Museum, a large mixed-media diorama of the watering hole for Abstract Expressionist artists and critics, uses exaggerated features and outlandish colors for subjects that reveal their identities: Jackson Pollock in trademark striped shirt squirting ketchup and mustard all over the table; Lee Krasner, Barnett Newman, Willem de Kooning, Mark Rothko and others. We also see Andy Warhol’s moving portraits of Lou Reed, Baby Jane Holzer, Dennis Hopper, “Woman in the Dunes” actress Kyoko Kishida and others from the screen tests Warhol shot as “living portraits” in his Factory. The subjects sat for Warhol and his 16 mm Bolex camera a wall away. What will portraits be like in the future? 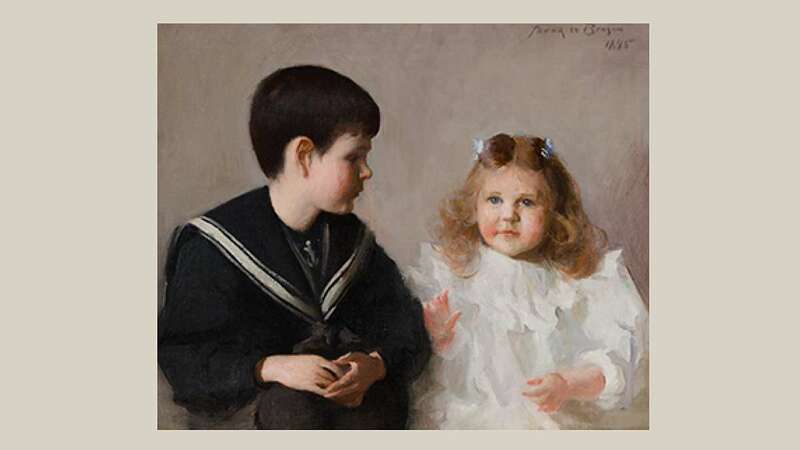 With so many billions of online portraits out there, what is the value of a single one? Which will be remembered? Or will we all be lost to history? DNA “portraits” have already become thoughtful gifts for our loved ones. Before exiting Striking Resemblance, visitors have the opportunity to make selfies in the photo booth – the Zimmerli plans to post these on Facebook and Instagram. 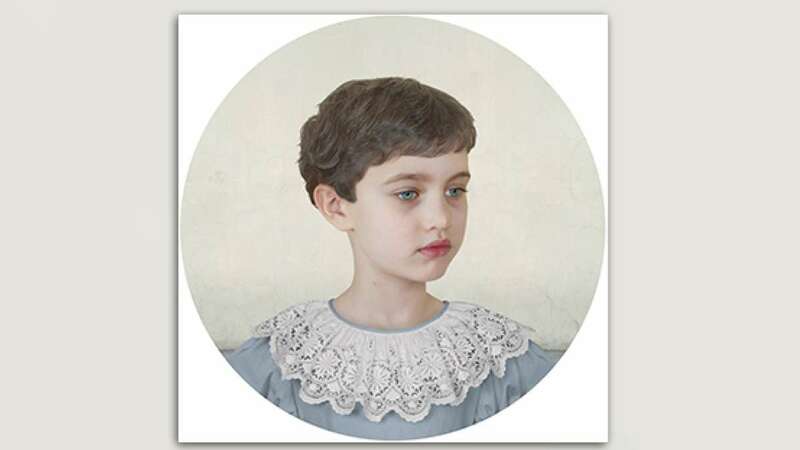 Striking Resemblance: The Changing Art of Portraiture is on view from January 25 through July 13, at the Zimmerli Art Museum, 71 Hamilton St., Rutgers University, New Brunswick.